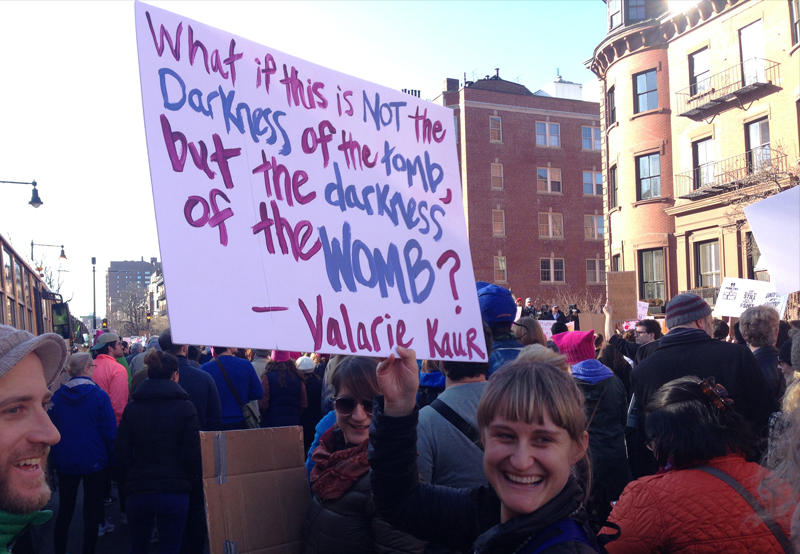 A note from Valarie: Some joyful personal news! I’m working with a publisher to write a book on Revolutionary Love, a memoir/manifesto that responds to this moment in history. It’s hard to describe what this means in my life. I took my first book-writing course in college fifteen years ago this semester. It was shortly after 9/11 and starting a life as an activist, I had a sense that the stories I was collecting needed to be heard. Fast forward, and the stories now fill a treasure chest. After the election, I opened the treasure chest and began to writing a book proposal called “Revolutionary Love: The Call of Our Times.” I finished it on the night of the Inauguration. Like it was an act of survival. The stories showed what I knew to be true — that political tactics alone are not enough; that we need to change the conditions that gave rise to this era of rage, and that requires a new American ethic. When I met my editor, I knew I had found the thought partner to help pair these stories with the rigor of a new idea. But I soon discovered that I could not write this book with my life as it was — a breakneck pace of travel/organizing/mothering, operating solely in crisis-response mode, country and community wounded, my mind in a state of siege. And so Sharat and I decided to do something well, revolutionary. To change our lives. It took a great deal of effort, including wrestling down voices of doubt outside and within. But last week, we packed up suitcases of books, our dog, and our baby and boarded a flight to live with my parents full-time for a true writing sabbatical. My parents happen to live in Costa Rica (! ), and so I’m writing to you all from a mountain top in the rain forest, the cicadas singing outside, the ocean roaring below the bluffs. We are so fortunate. I have taken my first deep breath since the election. We have been here for one week, and at the risk of hyperbole, this move feels like it saved my life and our little family. Sharat will be traveling back and forth to the U.S. to direct, and Kavi will be growing up with us and his grandparents as a little monkey in the rain forest. My team and I will continue to build the Revolutionary Love Project and roll out calls to action in response to this administration’s actions. But our role is clear: We are a movement within the larger movement. And if “love” is going to have a real chance at changing American consciousness and politics, then we need to give it a strong intellectual foundation, tell the stories that ignite hearts and minds, and offer up how to practice it.